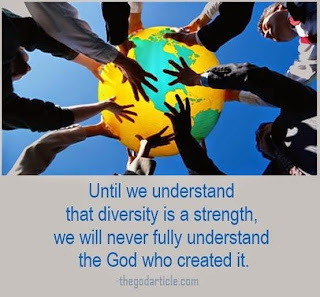 Even as the Community of Christ has transitioned over the years in our understandings and openness towards our heritage, theology and inclusiveness; our journey has other dimensions we are still encountering. At the last World Conference we implemented new processes for Common Consent and consensus building. This is not just a change in the mechanics of discussing legislation; it evidences deep-rooted participatory engagement in our church life and decision making. This reflects the expectation of our membership to be informed, to research, to dialogue, to express diverse opinions, to be heard, to listen, to challenge, to collaborate. In a sense the phrase “prophetic people” has taken on greater meaning in a deliberatory sense. What does this mean to us in CEM? I think it means, we expect and feel we have a right to engage in dialogue and that out of that collective dialogue, decisions are made. Our experience with nurturing and facilitating dialogue in decision making is quite rudimentary. We have much to learn. It is much easier in all organizations to operate within a mode of top down decision making. That traditionally is the way it has been. Transitioning away from this protocol is another dimension of our faith journey I made reference to above. It happens by way of natural grass roots processes rather than a conscious decision to push a dialogue button. We find ourselves today in a new model of decision making involving dialogue linked with unpredictable outcomes. We are also a sacred community. How does that govern our exchanges? Dialogue can be an eruptive force of contention without internalized virtues guiding our discussions. Dialogue can be secular in nature or sacred. We see the secular modeled in our houses of parliament. Sacred dialogue is mindful, prayerful; exhibiting grace and vulnerability to allow compromise and consensus to emerge out of divergent viewpoints. This mode of dialogue takes practice and intentional self-awareness by all to truly happen. Our church has recently introduced spiritual practice moments. These moments nurture the sacred within. Within this framework we may consider the practice of dialogue a spiritual exercise to teach us virtuous exchanges of discussion. Let us not mistake virtues for weakness. They are on the contrary, strong, persistent, even-spirited, mindful exchanges not based upon black and white outcomes but negotiated consensus. We need advanced tools for dialogue. Dialogue is something you just don’t read about. It is participatory and learned in dynamic exchanges. It is more than debating. The virtuous element governs our person to person awareness. In many ways it is self-regulating. Ultimately, dialogue is sacred if we allow it to be. That to me is what we are in the process of learning. That is the pathway forward. We have an incredible opportunity now to participate in virtuous dialogue. We may stumble some at first, but it is worth the effort to continue and nurture collaborative outcomes through our collective dialogue. I am hopeful. I look forward to engaging in the next step together. Glad to see this happening, Kerry. I don't know why, but I find that I have an appetite for discussing tough issues. When I hear an impassioned presentation of a particular point of view I have a reflex "Yes but" reaction. Not that I am always ready for a debate, but I do want to hear lots of relevant information from different perspectives before settling my own opinion. I am impressed that the C of C is now a place for learning how to reach informed consensus. If we can replace partisan politics, ideological polarization, and manipulative rhetoric with respectful exchange of views, learning from each other, and making better decisions, well then I would like to be part of that. Welcome. We each can participate every day in dialogue if we choose but often avoid. I appreciate your openness to recognizing that we can learn from one another. I once when reading comments from a forum on the Palestinian issue, copied and pasted almost 200 comments into a word document to keep it for reference. The diversity of viewpoints was so rich and I felt greatly informed on a subject that I felt very inadequate to discuss. Our church along with most has many tough questions to discuss. We need to learn how to talk better and provide ongoing opportunities to learn this process in families, small groups and larger forums. Thanks for your comment Dennis. Kerry, I am impressed at your sustained output as a blogger. I would like to see 200 or so comments on some of the thought provoking posts you have shared with us. We should be discussing these things. Blogs are fairly new, but we have lots of computer users who could be participating in this sort of exchange. Although commenting on a blog will never replace face-to-face conversation, here you can take your time, do some reading, and let your thoughts mature a bit before publishing them for everyone to see. There is no forum like it, and we should be using it to move things along. There are also some hazards to blogging. Once you have posted a comment, readers can come back to it years later and take your words as continuing to represent you. In fact our opinions morph constantly, which is the very reason we engage in the give and take of discussion, to improve the quality of our thinking. So, this is who I am at 3:43 PM on 2015-05-21. You can expect I will have moved on a bit if you talk to me next week. Give me room to change and I will happily engage in this dialogue. Another problem with blogs: try as I may, I cannot always suppress the passions that motivate my words. I have to guard against writing anything hurtful or disrespectful, and if anyone else does as much, I have to say I understand because I have been tempted myself. Yet the risk is justified by the benefit. We are able to think because we have language, and we have language because we have each other. (I am paraphrasing Joseph Heath in his book “Enlightenment 2.0”). Descartes said, “I think, therefore I am”. Descartes put himself before the horse. He should have said “You are, therefore I think”. Because your existence defines me I will risk this dialogue. I hope there are others who feel that way, and we can make some progress together.